When Mr. Gary Alan, producer of Global News Network’s “Opinion Leaders” TV show, invited me through Facebook to appear on their program for an episode titled “Why I Blog,” I did not have any second thoughts about saying yes. After all, this is my first TV appearance (how is that!)! We had the taping last January 3 and the episode airs tonight. 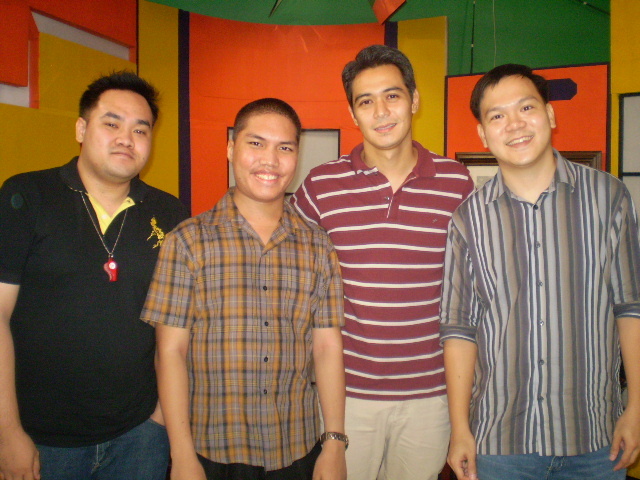 I was with two other interesting bloggers, Eusebio Yu (MaximizingMarriages.com) and Flow Galindez (AngSaWariKo.com). On a more serious note, it gave me the opportunity not only to look back at how my site started March of last year and but also to ask myself what motivates me to blog in the first place. With fellow bloggers Flow Galindez and Esusebio Yu. Host william Thio is in red. I am familiar with blogging even before I joined WordPress. I already tried blogging in other sites before, particularly Multiply.com. I have posted about 200 items in Multiply in the two years that I was active there (late 2007 to early 2010), most notably about campus politics in UP Diliman. Two factors led to my gradual inactivity in Multiply. First, as a graduating student at that time, thesis-writing became my main preoccupation for many months. Second, most of my Multiply readers (not just contacts in Friendster) suddenly disappeared because of Facebook. 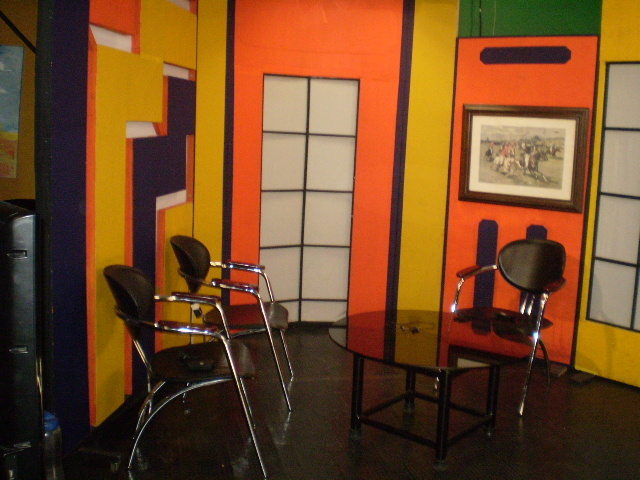 The set of 'Opinion Leaders' just before the taping. For much of 2010, I contented myself with expressing my views and commentaries on all sorts of things through Facebook status messages. It was last week of March when I witnessed an event that very much moved me to write again. As I was riding on a jeepney on my way home, I saw this scene: an old man arguing with the driver over the 20% fare discount that senior citizens are entitled to get. You can read that blog here. Sharing my experience visiting the wakes of teen actor AJ Perez and journalist Lourdes “Chit” Simbulan (a former professor) continued my writing momentum. From March until July, I am averaging less than 10 views per day. Now, I am getting an average of over 300 views daily. I don’t have a particular blogging niche (or specific topic), and that is not exactly a bad thing for me. “Asking about anything, writing about everything,” my blog subtitle goes. That is true. I have written commentaries on serious political issues (see Gloria Arroyo vs Leila De Lima and an individual’s right to travel). I have also posted humor items (who can forget the blog “Top Ten Celebrity Reactions to the KC-Piolo Break Up”?). The wide range of topics covered by this blog is one of its advantages over other sites out there. This reflects me personally as someone who is interested in a lot of things. Having said those, I realized that this blog serves three key purposes: a way for me to express my views, to inform people about things they need to know, and to entertain. And with my total blog hits since March 31, 2011 now over 110,000, there is absolutely no need for me to deviate from that. 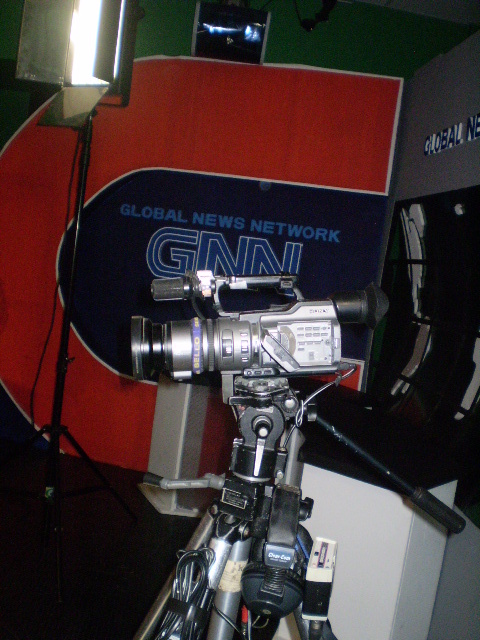 Hosted by William Thio, Global News Network’s “Opinion Leaders” airs exclusively via Destiny Cable every Saturdays and Sundays. Check your local listings for the complete schedule of their programs.